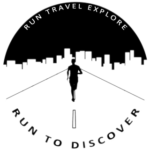 RUN TO DISCOVER – A Runner’s Travel Guide is a platform from runners for runners! Local runners present their city to you. Basically, a runner’s city guide! Are you planning a weekend trip, vacation or just a quick business trip? With the running city guides on RUN TO DISCOVER you will know what your destination offers for runners like you. Where are the best routes to run? Is there a social running group you can join? Which sights are a must-see according to a local. You’ll find all sorts of tips and routes. Short and easy routes, which you can easily fit into a busy schedule. But also longer and tougher routes. Trail and tar. Nature and sight-seeing. Get your city guide here and explore your next destination! FloRuns, the founder of RUN TO DISCOVER, developed the idea of this new platform while writing a new post for his then personal blog. The passion for running and travelling and the difficulties of finding valuable information online about the next destination lead to this Runner’s Travel Guide. It didn’t take long and the initial platform was set up and the first contributors were found. RUN TO DISCOVER is a collection of many runners from around the world sharing their local knowledge on this platform! Without the contribution from all of you, this platform wouldn’t be possible! Thank you very much! The platform is managed by FloRuns, the founder of RUN TO DISCOVER. Travelling and exploring have always been his passion. Running became his passion in 2012 when he successfully finished his first single race: the Berlin-Marathon! When travelling, the majority of his luggage are running apparel and shoes in order to discover the destination by running. ”I run because if I didn't, I'd be sluggish and glum and spend too much time on the couch. I run to breathe the fresh air. I run to escape the ordinary. I run to savor the trip along the way. Life becomes a little more vibrant, a little more intense. I like that.